You can find any number of potting soil mixes in the market, but making your own offers many advantages. For one thing, you will know exactly what goes into it. For instance, if you want to be 100% organic, you can avoid all the chemicals commercial manufacturers commonly use, such as wetting agents and pesticides that you don’t want in your pots. You can also reduce gardening costs while using up the resources you have in your garden. It is an additional incentive to compost every bit of organic waste generated in the house and the garden. But more than anything, it feels good to be self-sufficient as a gardener. What does it take to prepare a general purpose potting soil? A potting soil is only as good as the ingredients that go into its making. Unlike garden soil that is continuously subjected to changes due to exposure to the elements, you can have more control on the structure, composition and nutrient content potting soil. To facilitate optimum root run and provide proper drainage, the best potting soil is light and airy. At the same time, it should have enough structural integrity to support the plant. Water logging must be avoided at any cost; it is the number one killer of potted plants. But the soil should have sufficient water retention capacity. However, it should not become too compacted as the moisture dries up between watering. Potting soil should be able to provide a continuous supply of all the different nutrients that plants need for growth. When it comes to nutrients, it is easier to be more precise with potting soil, but plants can quickly deplete the limited quantity present in the given amount, leading to soil deterioration. Keep in mind that potting soil requires frequent topping up, and that timely inputs have to come from us to maintain its quality. Soil dug up from your garden can form a major part of your soil mix because of its ready availability. Loamy soil is the best; it retains the right amount of water for plants, allows air circulation and root run, and supports beneficial soil organisms. If the soil is too sandy, it drains too fast, necessitating frequent watering. Sand is mainly silica, and has very little to offer in terms of nutrition to either plants or microbes in the soil. On the other hand, clay-like soil has very fine particles that get compacted easily, preventing the movement of air and water through the soil. This results in water logging and the growth of undesirable organisms such as mold that thrive in constant dampness. When dry, plant roots find it difficult to grow deep into compacted clay soil. Here’s an easy test to find out whether your garden soil is too clayey or sandy: Water the soil and wait for five minutes. Then, take a handful and squeeze it in your palm. Open the palm and look at the texture now. If the soil holds together temporarily but falls apart when you and move your hand a bit, you have loamy soil. Sandy soil will fall apart easily, but clay will hold its shape. Whatever type of garden soil you have, it is possible to amend the soil by adding organic matter in the form of manure or compost. Perlite is a whitish inorganic material formed from a type of volcanic glass when it is heated at a very high temperature to make it porous. It is mined in some parts of the country and processed for use in agriculture because of its light texture and the ability to hold air and water while allowing good drainage. It is commonly used in potting soil for the same reasons. Perlite is especially good for seed starting as it is sterile and light enough to facilitate the sprouting of seeds and the root run of tender seedlings. Concerns about the depletion of this natural resource and the environmental impact of mining and transportation have slightly reduced its use lately, but a suitable substitute is yet to be found. This is another natural, inorganic material mainly consisting of silica. Like perlite, it has water retentive capacity combined with good drainage. As a sterile medium for plant growth, it is often used on its own in soilless gardening such as hydroponics, or in combination with soil and other materials in potting mixtures. Bulbs and tubers are often stored in dry vermiculite as it prevents rot by absorbing excess water from them without drying them out. Vermiculite is ideal for seed starting; it is even considered superior to perlite because it holds water for much longer. Also, it has more to offer to the plants by way of nutrition. When added to clayey soil, vermiculite increases drainage and air circulation through the mixture. It is equally good for sandy soil as it helps retain more water and nutrients. Sand, particularly river sand, has some of the properties of perlite and vermiculite, and can be used in its place in almost all types of potting soil. Almost wholly made up of silica, it is heavy and helps anchor plants. It cannot hold much water or nutrients, but allows good drainage. Easy availability in almost any part of the country makes it a good addition to potting soils. Compost is made from plant and animal waste that is allowed to rot until it breaks down into a dark-colored material of uniform dark color and no offensive smell. Just like the soil from your garden, all the compost towards your potting soil can be sourced without any additional expense if you make it in your own yard. If you have a compost pile, you can dump all your kitchen waste and garden waste into it and allow nature to do its magic, turning it into rich compost. It is not without reason that compost is often referred to as black gold in gardening circles. It is rich in organic compounds and minerals that can be used by your plants for luxurious growth. It also contains billions of microbes that help in keeping the soil well balanced. Compost increases the water retention of the soil too. Compost from your pile can be used directly in garden beds after aerating it and testing its pH level. Finished compost should ideally be neutral or slightly acidic. When you use it in potting soil, compost should be aired well and screened to get uniform-sized particles devoid of hard materials like bones and stones. Manure is the waste of animals generated in farms rearing cattle, horse, turkey or chicken. Fresh manure should be allowed to rot and age before it can be used in potting mixtures. Well-rotten manure has a texture similar to compost and has no offensive smell. Leaf mold is partially composted, crushed leaves. It can add organic matter to the soil much like compost and manure, but does not provide as much nutrition because it decomposes very slowly. Peat or sphagnum moss is an amorphous, partially decomposed material of organic origin, usually found in waterlogged bogs. It is often used as a bulking agent in soil mixes. When it is wetted thoroughly before use, it retains water and nutrients for extended periods, but once it is allowed to go dry, it resists wetting. Use of peat increases the acidity, so it is used as soil amendment for alkaline soils. When mixed with neutral garden soil, limestone should be added to reduce the acidity. This organic product comes from coconut husks that are processed to obtain coir fibers for other industrial uses. The coconut pith is aged or composted to form the soil additive coir or coco peat. Marketed as an alternative to peat– the overexploitation of which is now raising environmental concerns–coir is a good wetting and bulking agent, but does not have any nutrients plants can use. Limestone is a naturally occurring mineral substance that has the carbonate salts of calcium and magnesium. Although plants need these minerals, limestone is mainly used in potting soil or in the garden to reduce acidity. Calcitic limestone and dolomite are the two types of limestone in common use; the former mainly consisting of calcium carbonate with very low levels of magnesium while dolomite has both minerals in more or less equal quantities. You don’t necessarily need all of the above ingredients to make your potting soil, but you will need some organic materials and some inorganic materials mainly for the nutritional benefits they offer. You will also need at least one of the materials that ensure good drainage because plants hate sitting in stagnant water. The first two you will probably have in your yard; the third can be sourced inexpensively from your nearest garden center. The garden soil and compost in your soil mix should take care of most of the nutritional needs of your plants, but it is not a bad idea to add some long-release organic fertilizers such as bone meal, blood meal or fish emulsion to the soil. 2-3 Tablespoons per gallon would do. Natural inorganic fertilizers include rock phosphate, gypsum and limestone. Most cacti and succulents need a quick-draining medium; otherwise they will rot. It is relatively cheap and easy to make though. After you have made your mixture, it is a good idea to test its pH level. It is to know whether it is acidic or alkaline. Rated on a scale of 1 to 14, a pH of 7 is considered neutral. Any reading that falls below 7 is acidic while higher numbers indicate alkalinity. Most plants do well in a neutral soil, or slightly acidic soil, so the general idea is to keep the pH reading as nearer to 7 as possible. You can test the pH of your potting mixture using a home-testing kit available at garden centers or from here on Amazon. 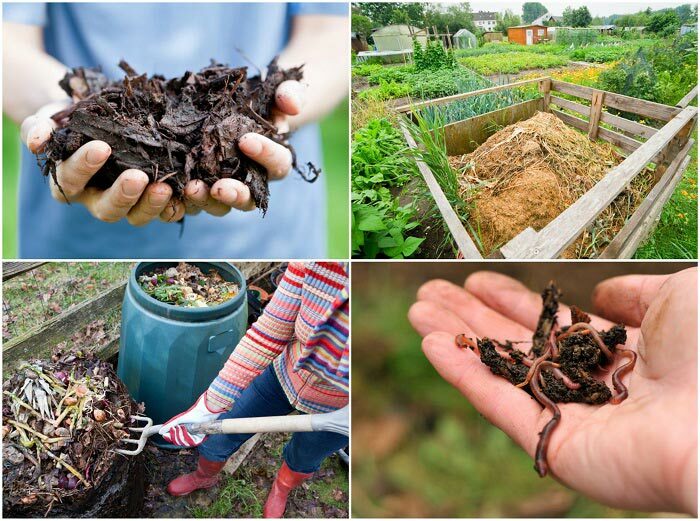 Decaying organic matter makes the soil slightly acidic, but finished compost is more or less neutral. Adding plenty of compost to the potting soil is the simplest way to neutralize both acidic and alkaline soils because it acts as a buffer. As we mentioned earlier, most plants like a neutral soil, but some thrive on acidic soil. Many shrubs such as azaleas, camellias and rhododendrons that naturally grow as understory plants along the edges of forests are used to the acidic soil that results from decaying leaf litter. So are peat blog plants such as heaths and heathers. They are commonly referred to as ericaceous plants. A good recipe for ericaceous potting soil would be 50% peat, 20% perlite, 10% sand and 10% garden soil and 10% sand. If you want to spare peat bogs, coir is an environment-friendly alternative if you can find it, but it is a poor substitute. Adding pine needles or sulfur may also help make the soil acidic. Some plants cannot stand acidic oil. They may do fine in neutral soil, but do much better if the soil is on the sweeter side (as opposed to acidic/sour soil). Lime-rich soils that have very little organic content are naturally alkaline, so if you’re using that kind of garden soil in your potting mixture, you may end up with alkaline soil without any effort. However, if you find that the prepared potting mix is acidic, and you want to grow geraniums, thyme or cucumbers, you can amend it by adding wood ash or powdered limestone. The quantity of lime to be added depends on the type of the garden soil you used and the effective pH of the mix. Potting mix containing sandy soil may require much less lime than one that has clayey soil. Good drainage is also important as water logging tends to make the soil acidic. If you intend to grow citrus trees or peach tree in pots, make them happy by providing sweet soil. After you have used your homemade potting soil for some amount of time, you will be able to recognize some deficiencies such as the soil drying up too quickly, growth of mold or soil pests. Don’t lose heart; you can easily tackle them because you know exactly what the mix contains. You can increase organic matter (compost/manure/leaf mold/peat/coir) to increase water retention. To reduce fungal growth, you can try improving air and water circulation by adding more perlite. If pests are a problem, you have the option of using organic pesticides such as neem oil or pasteurizing slightly dampened soil mix in your oven by heating it at 160F for an hour. It is a good idea to record the composition of your soil mix and amendments used, if any. With experience, you will be able to make different types of potting soil tailored to the plants you want to grow.